Acknowledgments We would like to thank the following organizations and people for their roles in helping to organize the Recode Knoxville Design Charrette and for providing their time, experience, and professional knowledge in the effort to examine this new code. Knoxville - Knox County Planning // Gerald Green, Amy Brooks, Liz Albertson, Mike Reynolds, and Alex Zendel AIA East Tennessee // Richard Foster, AIA, Christina Bouler, Assoc. AIA, and Erik Hall, Assoc. AIA The East Tennessee Community Design Center // L. Duane Grieve, FAIA, Leslie Fawaz, AIA, Perry Childress, & Dustin Durham The East Tennessee Community Design Center appreciates the opportunity to develop this report on the findings from the Recode Knoxville Design Charrette and Design Standards Roundtable Discussion. A full list of the charrette participants can be found at the end of this document. Goals There were four main goals the charrette wanted to accomplish, which were dictated to all of the teams. Those goals were: to test the code and map with real world studies, determine if the code and map were in alignment with the collective vision for the city, explore how the code would shape the city, and assess the general usability and format of the code in order to provide comprehensive feedback to Knoxville-Knox County Planning. Criteria There were several criteria the teams were asked to consider in developing their sites. These criteria were given in order to resolidify the collective vision and desire for the future of the built environment in Knoxville, as well as to create points of consideration for the Planning Department to address upon the conclusion of the charrette. These criteria and recommendations were - in no certain order: to maximize density and tax revenue along corridors, create more urban conditions where appropriate, consider the public realm in projects, address transitions in scale at various zones, consider compatibility of new zones with existing contexts, address things such as complete streets and landscaping or buffer zones, consider the impact of transit routes on developments - and vice-versa - and consider the proximity and accessibility of housing to daily needs, including pedestrian access. The Site This site was selected because of the connection to Downtown Knoxville and the variety within the zoning transect, which ranges from the newly created DK-E (Downtown Edge) zoning to Commercial C-G-2 to Residential RN-3. It was the most â&#x20AC;&#x2DC;traditionally urbanâ&#x20AC;&#x2122; site of all sites selected, and was assumed to be the location where denser developments would fit in most naturally. It is arguably the least car-dependent site being studied. This site allowed the team to use the proposed zoning changes to explore opportunities for a diversity of housing types, critique the compatibility of new development with the form and character of adjacent neighborhoods, and consider historic structures and overlays including Historic Knoxville High School, Emory Place, and the Fourth and Gill Neighborhood. Historic Knoxville High School was the only structure in the study area that was required to remain. Design & Conclusions In their development of this site, Team 1 found that the newly created Downtown Edge (DK-E) zoning, which requires no off-street parking, was both helpful and restraining. They felt that it was particularly helpful in achieving the goal of added (and needed) density to land near downtown, whether in residential or commercial uses. However, they also felt that it would be harder to market to most local developers, as they would still bring with them the suburban, car-dominant mentality and would be uncomfortable, from a business-stance, developing a site without any parking. Though the team felt a large portion of needed parking could be attained from on-street parking, they acknowledged that this amount would be a large minority of parking at the most, especially if an intense retail site was to be developed here. As well, the team found that the proposed zoning maps were severely lacking in well-placed transitions of zones from higher density and intensity to lower density and intensity. They felt that there needed to be more RN-4 zones to act as transitions from traditional RN-2 and RN-3 neighborhoods to the DK-E zones or other commercial zones such as C-G-2 and C-G-3. Some other conclusions that were reached during this site study were: â&#x20AC;˘ There needs to be a comprehensive plan (and perhaps a map overlay zone) that indicates structures or areas that the city would like to consider historic and would preferably renovate as opposed to destroy. â&#x20AC;˘ There is potential for another overlay zone that deals with sites that could possibly be transit-oriented developments; such overlay zones would allow for special reductions in parking. This site was selected as representative of a typical commercial corridor, in this case, along Kingston Pike in Bearden. The site transect includes a variety of interesting yet common zones and uses - from the open space zoning (OS) of Cherokee Country Club Golf Course and Highland Memorial Cemetery, to the RN-1 residential zoning of the Forest Heights Neighborhood to the commercial C-G-1 and C-G-2 zones in between them that surround Kingston Pike. The team considered the proximity and accessibility of housing to daily needs, including pedestrian and transit access, the relationship of developments to Kingston Pike and internal streets, and the impact of allowable building heights on adjacent properties. They also addressed the ‘stroad’ character of Kingston Pike - a mix of high speed road and high access street design with multiple curb-cuts and large setbacks. The Site This site was selected due to its strong historical importance including the Historic Parkridge Neighborhood, the Standard Knitting Mill building and the opportunity to engage with the new Industrial-Mixed Use zoning. The Team was asked to explore diverse programming opportunities, consider compatibility of a redevelopment the size of the four-story Mill building with local neighborhood form and character, and address the fragile nature of a large historic site such as this. They were asked to preserve some or all of the Standard Knitting Mill building. This site was also requested through community input and is a second good example of how the proposed zoning changes would affect traditional, walkable, inner-city neighborhoods near the heart of downtown. Being next to a large park and I-40 also allowed different contextual aspects to be considered during the design development that other Recode sites would not allow. Design & Conclusions In their attempts to save the historic Standard Knitting Mill, Team 3 determined that for a feasible and realistic proposal to do well with the given parking requirements outlined in the new code, a portion of the Mill would have to be demolished or converted into structured parking. This brought up the idea once more of an overlay for potential or preferred transit-oriented development sites, which would allow for a reduction in parking. This would be different than the reduction allowed in the proposed code, which only applies to existing transit-stops near a site. The team realized that the Mill needed a road frontage and thus added a new road connecting north into historic Parkridge, west to Hall of Fame Drive, and south into Caswell Park. Multiple office buildings were added along this road frontage near the Mill to help hide parking from view. As well, an urban agricultural zone (perhaps a relocated Abbey Fields or another community garden) was placed alongside First Creek. The team felt that the current continuation of the industrial zone behind some residences was antiquated and unnecessary. They suggested that it should be changed to a higher-intensity residential, such as R-4, to allow for a better transition from the neighborhood homes to the proposed office and mixed use developments on the historic commercial street. A question that was raised during the exploration of this site was whether residences or other zones could create or use shared parking with a playground or park space, such as the one adjacent to the Mill and neighborhood. A critique was also mentioned that addressed whether sites like this one, which are near a major interstate and are close to other large buildings (and therefore somewhat â&#x20AC;&#x2DC;hiddenâ&#x20AC;&#x2122;), should have special allowances for height, as opposed to the current zones, which are largely based upon existing and adjacent zones. The Site This site was selected because of its connection with Magnolia Avenue and Martin Luther King Jr. Avenue (two historic commercial corridors in East Knoxville), its inclusions of RN-4 and RN-2 residential zones, and the Historic Burlington Commercial District. The team was asked to address the two commercial corridors and their different conditions (Magnolia being a much wider ‘stroad’ and MLK being a smaller local street), to consider engagement with area churches for the establishment of semi-public community and open spaces, to consider adjacency to the historic urban fabric of Cal Johnson’s Speedway Circle and Chilhowee Park, and to explore the ‘gateway’ / barrier character resulting from the Asheville Highway interchange to the direct northeast. This site was also selected due to a community request. The Site This study site was selected as representative of a Commercial Corridor in South Knoxville. The site has a mix of higher intensity zones, including Commercial C-G-2 and C-G-3 (which has unlimited heights), and Residential RN-2, RN4, and RN-5. The team was asked to address the ‘stroad’ character of Chapman Highway – a mix of high speed road and high access street design with multiple curb-cuts and large setbacks and consider maintaining the housing diversity that is already there. Currently the site provides a high number of low income apartment units that are easily accessible to downtown Knoxville. The team also considered conversion of Strip/Big Box development patterns into an urban, mixed use, transit-heavy corridor, as well as the historic interrelationship and transition from gridded, urban patterns to early garden suburban patterns. They were also asked to consider the unique topography of the site. The Site This study site was selected as representative of a commercial corridor in North Knoxville. The site is at the intersection of Clinton Highway and Merchant Drive. It is centered at the existing Knoxville Expo Center. This area allows for the study of Commercial Zones C-H-1 and C-H-2, alongside RN-1 residential areas and Office (O) Zones. The team was asked to consider conversion of Strip/Big Box development patterns into an urban, mixed-use corridor to help address the â&#x20AC;&#x2DC;stroadâ&#x20AC;&#x2122; character of Clinton Highway (a mix of high speed road and high access street design with multiple curb cuts and large setbacks), and to consider open spaces and the need for community amenities. They were also asked to consider impact of allowable building heights on adjacent properties and ways to use the built environment / zoning to better transitions from the existing single family neighborhoods into more intense / urban developments along the commercial corridors. Team 6 developed the site using the ‘Town Center’ approach by creating an open public space commonly found in the heart of a traditional town used for community gatherings. Around the Town Center they developed mixed use commercial areas that transitioned to higher density residential and then to single family that currently exists at the perimeter of the site. They concentrated on improving walkability by connecting a path between existing neighborhoods and the new pedestrian-friendly development. The new center would giver residents access to commercial, residential, and office space within walking and biking distance, further reducing the need for vehicular access. They felt this site could be easily developed to allow for more options of multi-model forms of transportation, including public transit. Some other thoughts that the team had based upon their design: •	CH-1 allowed office use, but didn’t limit the square footage as if it was zoned strictly O. That may be a something that Knox Planning should confirm. •	CH-1 and other highway zones should address the number of and distance between entries and exits (curb cuts). •	They felt that parking was greatly reduced compared to current zoning, and still provided adequate parking spaces per SF of building. General Conclusions Each team found site specific concerns during the course of their designs, as well as some more general concerns. The same was true of issues they felt were assets of the code and zoning map. The following is a list of some of the largest concerns and questions that some or all of the teams expressed at the conclusion of the charrette. • There needs to be more gradual transitions between intense commercial zones and high intensity residential zones (RN4 and up), as well as more of these higher intensity residential zones in general • Many parcels and sites are out of place with their proposed zones and need to be rezoned to better fit the context / transect • How can we best zone certain specific uses (such as places of worship) so that their structures may be reused in a different way in the future without having to go through variances and rezoning? (Ex: Is there a way to build a church or mosque in RN-2 without the structure having to be RN-2 or Office? Should all religious structures and the like be Institutional? How does that affect things when the congregation moves or dissolves? Is it best for their reuse if they are zoned Commercial with special non-conformities? This would seem to allow for easy redevelopment into things like restaurants, hotels, etc, such as at Baker Creek Bottoms.) • The code seems to be promoting the gradual transition from lower density residential into higher commercial (via high density residential and then low density commercial), but the map does not reflect where these changes have occurred. The reality of the zones on the map is inconsistent with the intent the code seemingly attempts to implement. It appears to be far too tied to the past zones that existed in the same areas. • There is confusion as to the placement of C-G-3 zones. While the idea of having certain ‘nodes’ of higher density commercial is considered a good idea, the fear is that the placement of such zones – with their allowances of unlimited building heights – has the potential to create the ‘Atlanta-effect’ within Knoxville: numerous, seemingly random, clusters of massive towers with no transition to surrounding contexts. It is felt that the placement of these unlimited height zones needs to be better thought out in regards to their immediate context. • The Commercial-Neighborhood zone is a tool that could be implemented more often on the map, especially in areas which are traditionally under four (4) stories in height and are surrounded by denser, historically walkable neighborhoods. The following notes were mentioned specifically regarding landscaping: • The current stipulation of one landscaping island every 15 parking spaces within a lot should be changed to require one landscaping island (with a tree) for every 10 parking spaces. This would allow shade coverage to most parking spots in a lot upon full tree maturation, greatly reducing heat-island effects. • On the building use matrix (Table 9-1), consider adding a column that shows which uses require landscaping buffers between parking lots and buildings, as opposed to dictating it by zone. The current layout and dictation of buffers is hard to locate and understand. • For both Class A and Class B buffer yards, the total percentage of shrubs and trees to be planted should be increased from a minimum of 50% to a minimum of 80-90%, if the true goal is to conceal the parking areas from other uses. Appendix: Design Standards Roundtable On the afternoon of Thursday, February 28, 2019, a panel of Architects and Designers met at the Knoxville City Public Works Building to dissect and discuss the Design Standards sections of the proposed zoning code. The volunteers were given their choice to sit at one of four tables, with each table focused on different specific zoning areas. Each table had four to five volunteers. Table One reviewed Residential and Downtown Districts, Table Two reviewed Industrial-Mixed Use and Commercial-Regional-2, Table Three reviewed CommercialNeighborhood and Office, and Table Four reviewed Commercial-General (2 & 3) and Commercial-Highway-2. After an introduction and review of the meeting goals, the volunteers spent an hour at the break-out tables discussing the applicable sections of the code. Afterword, the attendees reconvened and a representative from each group presented their findings. Among the groups, there were several comments and suggestions that everyone agreed applied to the code in general. GENERAL NOTES: â&#x20AC;˘	As noted in the general conclusions section of this book, it was expressed that the Commercial-Neighborhood zone is under-used on the proposed map. This zoning would allow smaller, more appropriate development within traditional residential neighborhoods. It would aid in restoring the form of these areas to walkable districts with less curb cuts. Uses such as gas stations are not permitted and car repair businesses are possible upon review. This stipulation would allow these areas to regain their pedestrian-friendliness while allowing the flexibility for certain uses in the current auto-centric climate. •	Material restrictions were unpopular among those present as ‘any good material can be used badly and any restricted material can be used well.’ Many of the restrictions - such as ‘plastic’ - are vague in their definition and do not consider the wide range of materials made from plastic, nor the changing nature of architectural materials in this day and age. 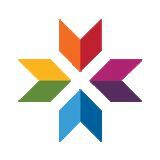 It is recommended that if the restrictions are not removed entirely, that they instead have much more specific definitions, as well as proper illustrative examples showing what is intended by the current listed materials. •	The building illustrations in the code book all appear in the same style and seem to be more confusing than helpful. The recommendation is to have pages within the various design standards sections of the book which show photographs of buildings of different styles that meet or do not meet the code. This could be solved with a simple green check or red ‘X’ next to the photograph. This would clearly allow the understanding of abstract concepts such as percentages of blank wall space or repetitious facade elements without the hazard of seeming to prescribe one style of architecture. This, again, could also work for material restrictions, to clarify how restricted materials may be granted variance if properly used. •	The standard for percentage of facade fenestration in many zones does not match the standard for energy efficiency. These standards needs to be reconciled. •	The design approval process needs to further develop the idea of having a ‘regular’ and ‘fast-track’ option, where a designer can get quicker approval by adhering to the design standards or have more freedom from standards while requiring more approvals and longer wait-time. As well, the approval committee needs to utilize Knoxville-Knox County Planning staff and at least one Architect. 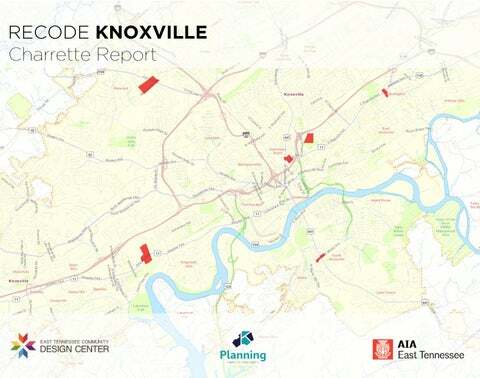 •	City of Knoxville officials should consider creating the position of City Architect to provide oversight and help interpret the design standards that are proposed in the new codes. TABLE THREE: COMMERCIAL - NEIGHBORHOOD & OFFICE - Continued •	Standard 7 is agreed as a good standard.